I’m not going to lie, I really hate winter. The rain, the dark mornings and evenings, I just can’t stand it! The only positive things about winter is Christmas and Costa’s Honeycomb Hot Chocolates. Although, cold does mean jumpers and this year I have gone pretty overboard with knitwear. I’ve been leaping out of my safety zone of creams and burgandy’s and tried to add a bit more colour to my wardrobe. 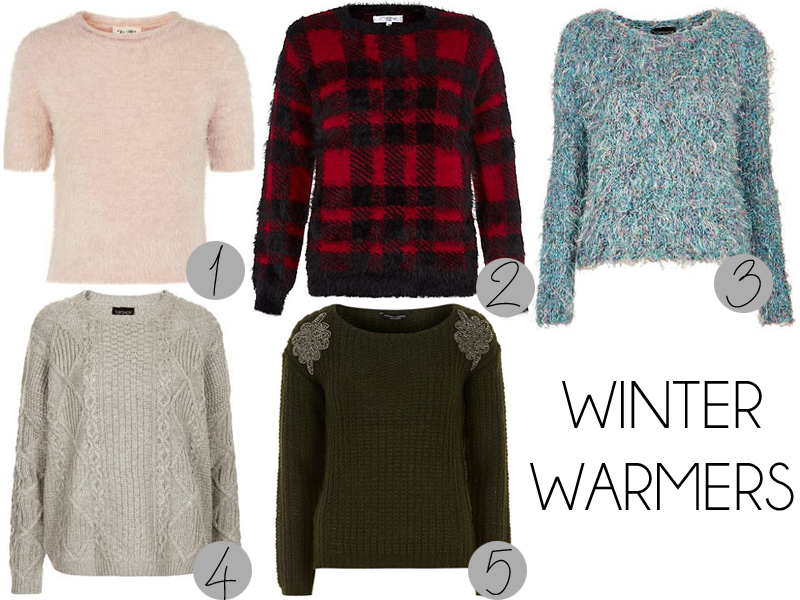 I’m especially loving textures this season, particularly the angora/super fluffy jumpers! I love the cropped style of the pink topshop jumper, I think it’s so classy and looks gorgeous with a skater skirt – and it really reminds me of Made In Chelsea for some reason? !